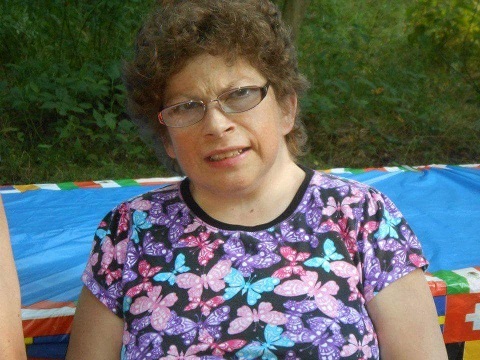 Melanie Leigh Brannan, 54, of Erie passed, peacefully from this life to the next at her home on October 12, 2017, following a lifelong struggle with the complications of Hurler-Scheie Syndrome, a debilitating genetic disorder. She was born in Butler, PA on April 6, 1963, a daughter of Richard and Rebecca Cochran. She married Clyde (Buddy) Brannan on March 17, 2001. They have one daughter, Alena Grace Brannan, who joined their family in 2004. Melanie was a member of the National MPS Society, an organization dedicated to research and finding a cure for the different disorders like the one Melanie lived with. Melanie loved and enjoyed music and her cats and family. She had a lifelong interest in the human body and mind, and loved stories of people overcoming adversity. She was strong, tenacious, courageous, and a loving mother, daughter, sister, and friend, who had a heart for people, especially people with any physical or mental disabilities. She was preceded in death by her mother and her younger sister, Terry Lynn Romo, who also struggled with Hurler-Scheie Syndrome. She is survived by her husband; her daughter, Alena; her father and step-mother Blanche Cochran; sisters, Julie Simpson of Corsica, PA and Marcie Lyle of Wellsburg, WV; half sister, Nancy Hettinger of Mohnton, PA; brother, Timothy Scott Cochran of Corsica, PA, and many nieces, nephews, cousins and dear friends. A celebration of Melanie’s life will be held on Sunday, October 22, 2017 at 2:00 PM, at Pisgah Presbyterian Church, 36 Church St., Corsica, PA.